Julian Jackson wrote this post as a final project for Stacy Krueger-Hadfield’s Science Communication course at the University of Alabama at Birmingham. Julian is a MS student and investigates symbiotic relationships in microbial communities in Dr. Jeff Morris‘ lab. 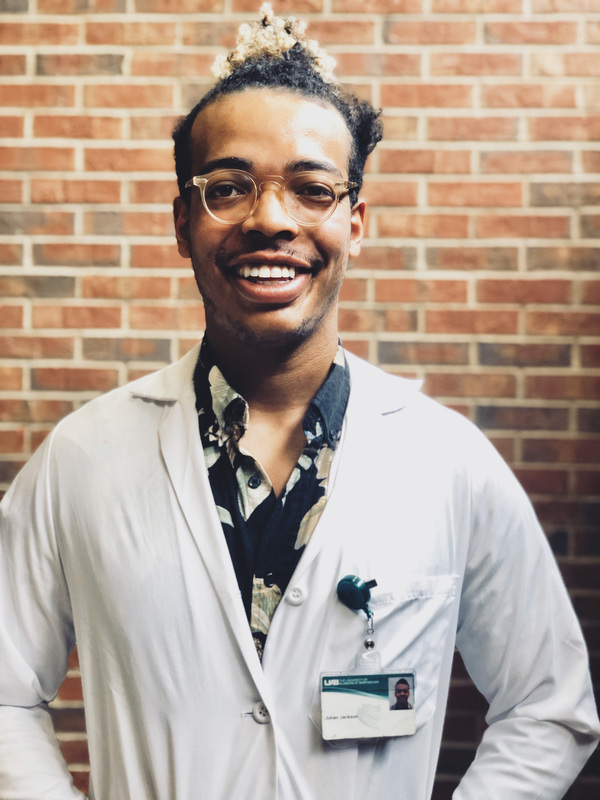 Outside of the lab, Julian is an advocate for creating, maintaining, and teaching youth about urban farming where the goal is to help eliminate food deserts within urban communities. He also enjoys photography and is a member of the Ground Floor Contemporary Studio. You can find Julian on Instagram @jul_yeeen. This appears to be true when it comes to the colonization of strains of Vibrio fischeri in the light organ of the bobtail squid Euprymna scolopes. V. fischeri can be found living symbiotically inside squid or fish, or it can be found living freely in the open water. Recently, Pankey et al. (2017) investigated how V. fischeri strains adapted to life inside the bobtail squid. 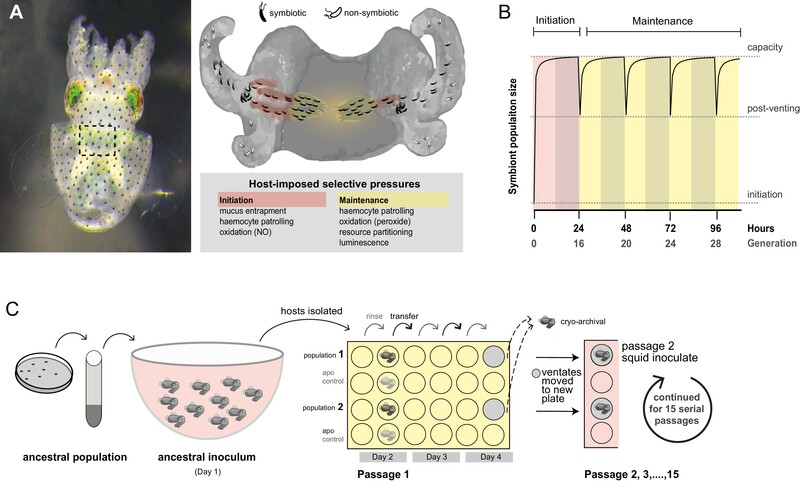 Upon entering a squid host, the V. fischeri strains encounter multiple obstacles, such as white-blood cells and damaging oxidative species produced by the squid. But, some bacteria have an invisibility cloak that hides them from these host defenses. Pankey et al. (2017) forced V. fischeri strains isolated from non-squid hosts or environments to colonize one squid after another. The surviving strains all had mutations in the same signaling protein BinK (biofilm inactivating kinase). This protein helps the bacteria fight off the squid’s immune response. The mutation knocks out BinK, which normally inhibits biofilm formation during certain phases of the V. fischeri life cycle. The mutants make the biofilm more efficiently, giving them the advantage in early colonization. Strains bearing this mutation might just come in first! Figure 1 from Pankey et al. (2017). Despites its initial protests, the squid actually needs V. fischeri in order to fully develop its light organ. It co-opts the bacterial bioluminescence as a defense mechanism by using its light organ to act as a reflection of the moon in order to camouflage itself from predators at night. Bioluminescence activation starts with induction of a signal that in turn primes the activation of the secondary signal. The activation of the second signal causes bioluminescence in V. fischeri (Lupp and Ruby 2004). This entry was posted in adaptation, evolution, genomics, microbiology, Science Communication, selection and tagged microbiology, scicomm, Science Communication, symbiosis. Bookmark the permalink.